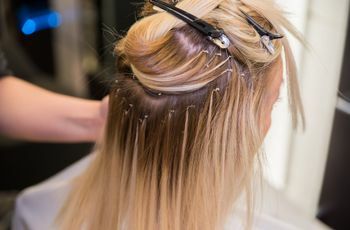 If you’re wondering how to put in hair extensions or what you should know about them before your next hair and makeup trial, we’re here to help! If you’ve been swiping through wedding hairstyles and are starting to feel like your hair will never compare to the lush, long locks you’ve been browsing—don’t be fooled! 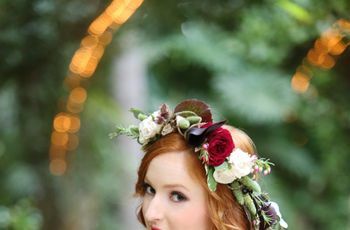 Hair extensions for weddings are trending in the bridal beauty world because they are an easy fix to get voluminous hair. Not everyone is #blessed with thick, gorgeous hair like Blake Lively—but that doesn’t mean you can’t achieve the look for your big day! 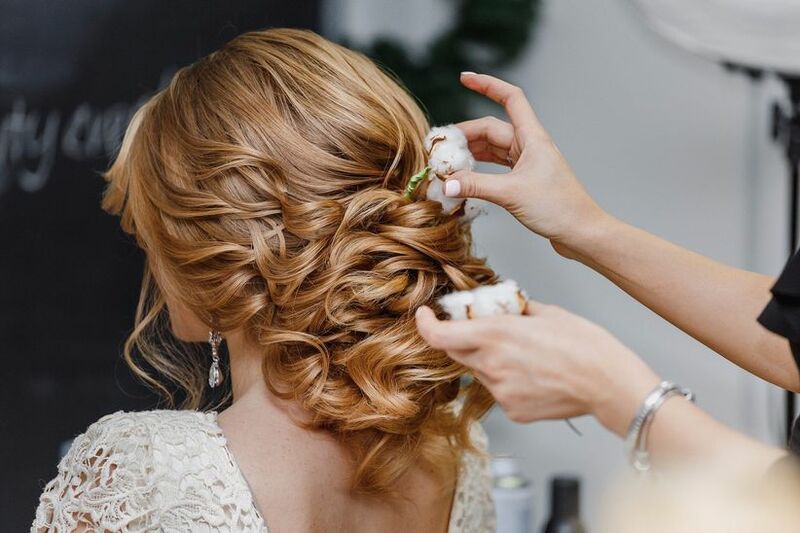 Hair extensions for your wedding are the secret to getting that romantic textured bridal look that everyone is obsessing over—so make sure to ask your wedding hairstylist about them! 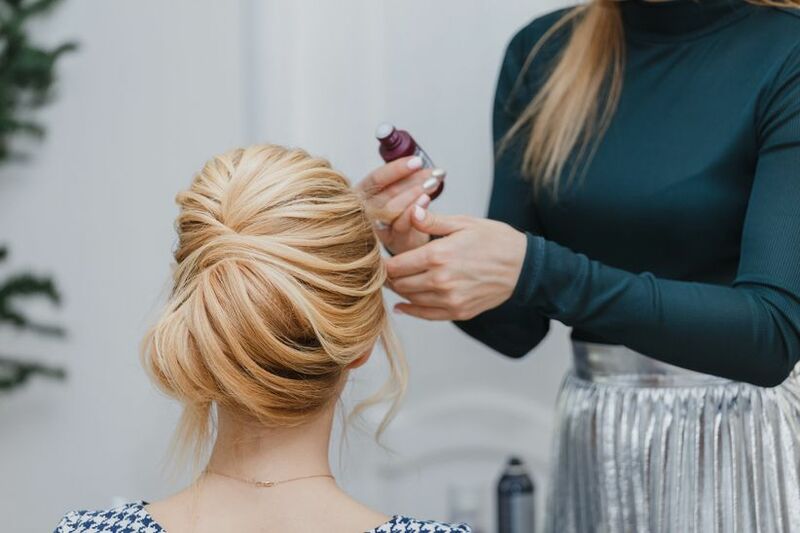 If you’re wondering how to put in hair extensions or what you should know about them before your next hair and makeup trial, we’re here to help! Here’s our guide for putting in hair extensions for your wedding day. There are many types of hair extensions to use, but here are the most popular for bridal. • Clip-in hair extensions: These extensions are clipped in and applied the morning of the big day. This is the number one hair extension for bridal since there is no commitment required. • Bonded hair extensions: Lasting up to five months, these types of extensions feature small pieces that are bonded to the hair with keratin and a heating tool. 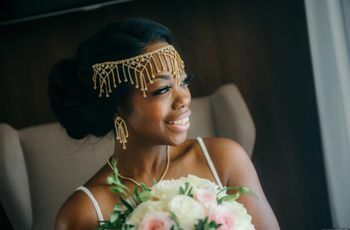 Since there are so many types of hair extensions and every bride’s hair is different, we encourage you to talk to your hair stylist about which one you should use for the big day. After all, they are the expert and can steer you in the right direction in finding the perfect hair extensions for your wedding. They may even purchase the extensions for you! When shopping for hair extensions for your wedding you’ll want to find the right color of extension. To achieve a romanitc textured look, the extension color shouldn’t match exactly to your natural hair. The slight contrast in color will add to your hair, which helps give your locks more volume. Each extension requires a different process to be properly placed in the hair. Bonded hair extensions require the most work since they take up to four hours to apply and also require maintenance appointments—if you want them to last well after the wedding (hello, honeymoon pics!). Clip-ins are the most temporary, since you just clip in the extension where you want more volume or length—this process only takes up to 30 minutes. 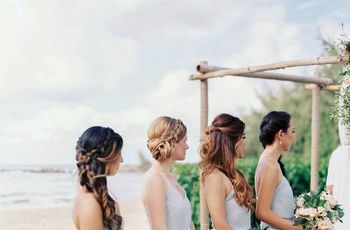 As for tape-ins, these extensions are a great pick if you want to apply them a few days before the wedding, instead of waiting for the morning of the big day. They require about an hour time commitment. Pro tip: For all hair extensions it’s super important to tease the root and then place the extension in a horizontal direction. Teasing helps the extension stay in place, so it won’t fall out if you’re busting a move on dance floor. The last thing you want is to spend hours removing your hair extensions at the end of your wedding night—you’re going to be exhausted as it is. 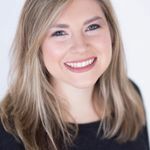 All extensions are different but for some of the more permanent ones—like bonded extensions and tape-ins—an alcoholic solution is needed to remove them so you don’t damage your hair. Clip-ins are the easiest since you just need to delicately brush your hair from the root down to take them out. We suggest talking to your hair stylist before so they can fill you in on the pros and cons of wearing and removing each type of extension.